just happened to watch this movie on TCM lately and though it really didn't follow Rudolph Valentino's life story, I still enjoyed Anthony Dexter in the role. 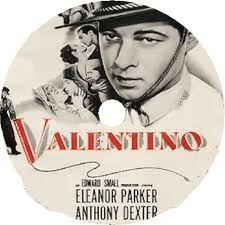 Anthony Dexter looked like Valentino at certain angles, especially while dancing the Tango, but his perfect English and diction ruined it for me... I'm sure the real Valentino spoke with broken English and was a little more rough. I did however, love the costumes and Valentino style. 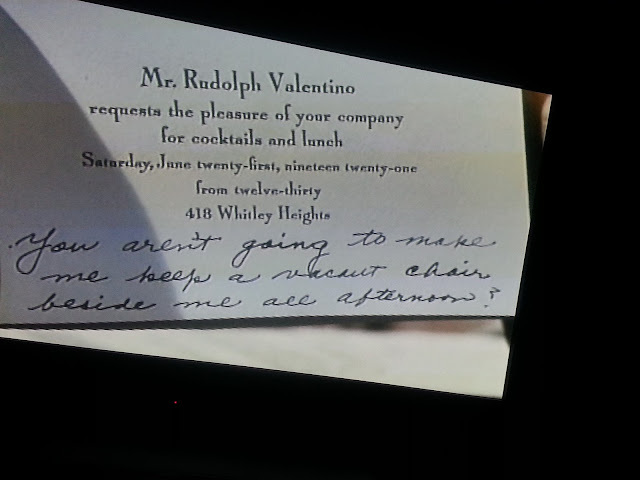 I was thrilled to see this close up of an invitation from Valentino, including the address of the Villa Valentino in Whitley Heights. 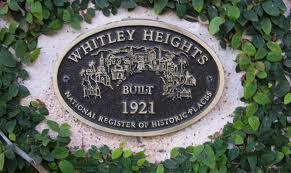 The real Villa, however, was actually located at 6776 Wedgewood Place, Whitley Heights. 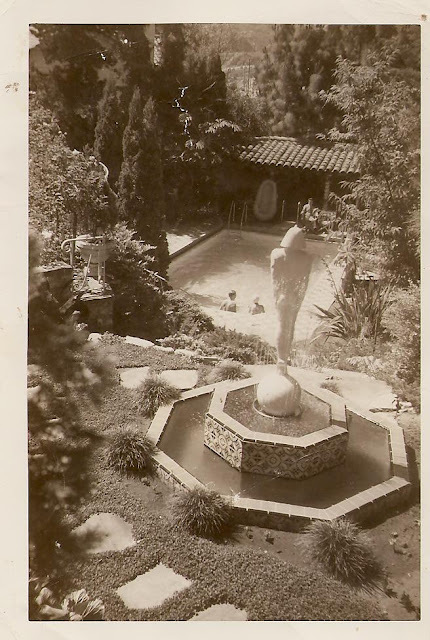 Valentino was one of the first residents to build a Mediterranean Villa in Whitley Heights. Probably soon after making the Sheik and The Four Horsemen of the Apocalypse, in 1921. 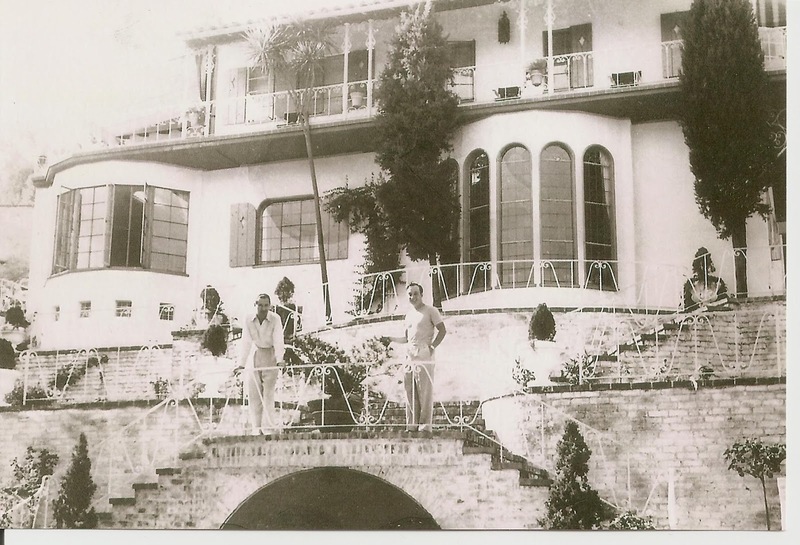 Seen here at the Villa Valentino, is my great uncle Tom Lyle Williams, founder of the Maybelline Company, with his lifetime partner, Emery Shaver. Tom Lyle bought the Villa after Valentino's death in 1926. The magnificent statue ASPIRATION, overlooked the pool at the Villa...in honor of Rudolph Valentino. I also loved the close up of this Preview Card, with a comment about Valentino's film, the Sheik... having the most thrilling love scenes ever seen on the screen. 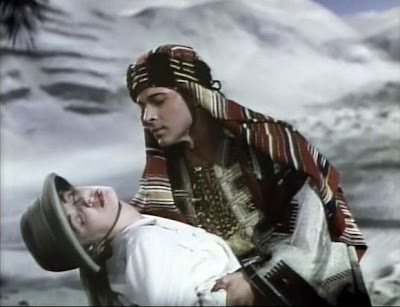 Here is Anthony Dexter as the Sheik in the 1951 film. 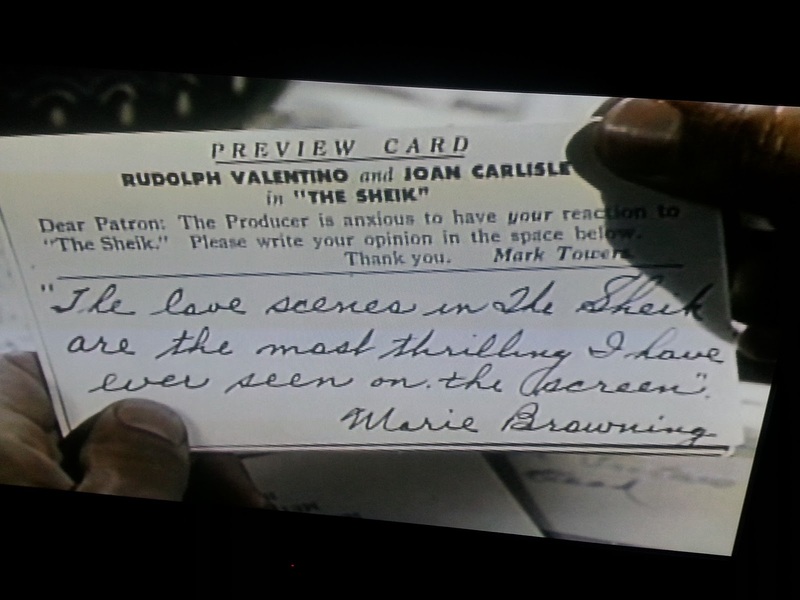 sexuality Valentino exudes on camera. The real Rudolph Valentino dancing the Tango on the real 1921 film, "Four Horsemen of the Apocalypse. 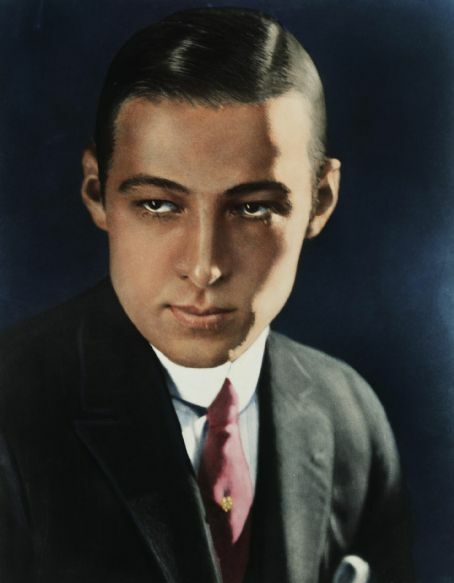 As you can see the real Rudolph Valentino, remains the all time smoldering Latin Lover. 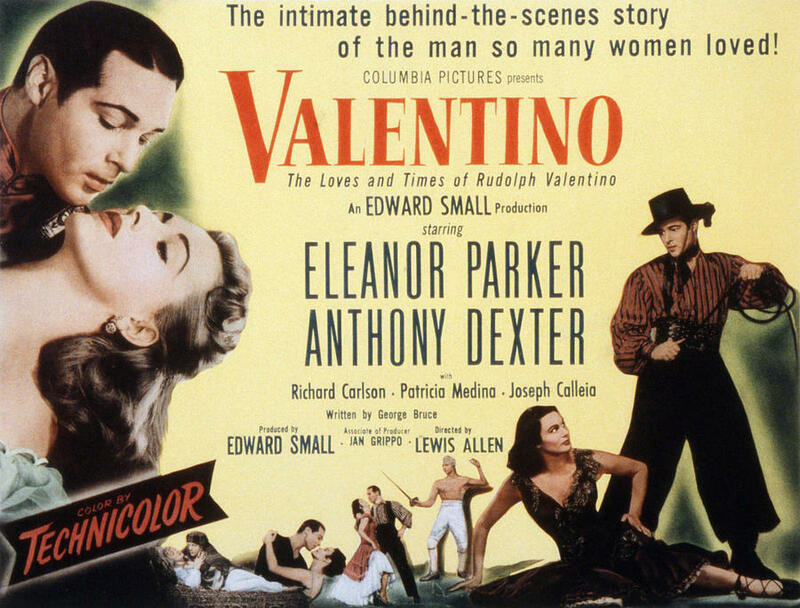 Want see more posts on Valentino and the Villa Valentino? Go to SEARCH THIS BlOG on the right side of the page and type in the words.